News earlier on Saturday that starting right tackle Daryl Williams went down with a knee injury had to have hit the Carolina Panthers hard. A Second-Team All-Pro performer last season, Williams is a major piece along a Panthers offensive line that has otherwise struggled in recent seasons. Sadly for both Williams and the Panthers, news didn’t get better as Saturday evening came calling. Carolina might not want to admit it immediately, but Williams is done for the season. 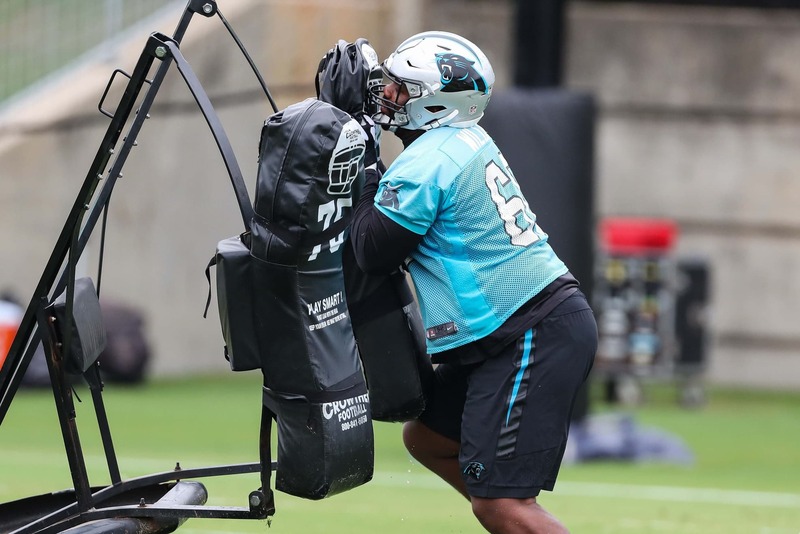 This is a dramatic blow for former NFL MVP Cam Newton and Co.
With the fourth-year pro sidelined, the likes of Taylor Moton and Jeremiah Sirles will likely compete for the starting right tackle job opposite Matt Kalil. We can also expect Carolina to check in on the watered-down free agent market for a potential replacement.